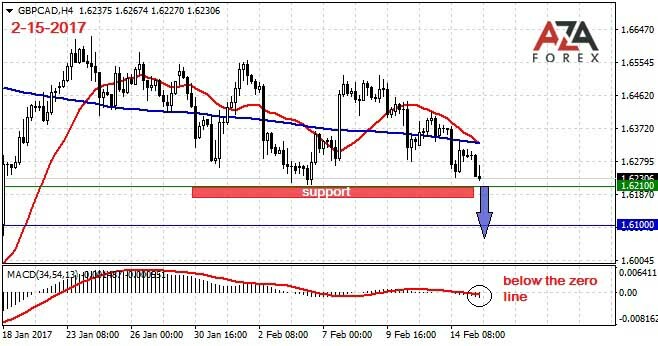 The forex market was calm for several days, only with the lateral movement. It seems that traders around the world expect something. The only, in our opinion, trading tool, which can now be interesting among the currency pairs is the British pound and Canadian dollar. After a sharp fall and followed after sharp take-off, this currency pair has gone sideways. But if you look at the daily and weekly charts, it will be clearly seen that, in general, this is a downward movement. Pound could not rise again and slowly is losing ground. More likely, you can target the downward movement with the aim of more than 200 points. But the movement of the British pound in the currency market, in recent years, become very abrupt. Therefore, after the opening of short position, we will carefully monitor the situation, and in the case of sudden changes in investor sentiment we'll take profit immediately.